Photo messaging service Snapchat is all set to hit the markets. With its initial public offering slated for March, Snap Inc, Snapchat's parent, has shortlisted banks to lead and manage the exercise. Morgan Stanley and Goldman Sachs Group will lead the offering, a report by news agency Bloomberg citing unnamed sources stated. Besides these, J P Morgan Chase & Co, Deutsche Bank, Allen & Co, Barclays and Credit Suisse Group will also be involved in the exercise. Morgan Stanley had in September arranged a credit facility for Snap Inc, the parent company of Snapchat. 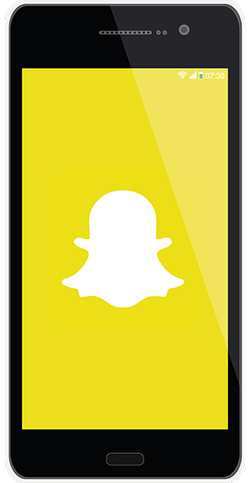 Snapchat is a photo and video sharing platform that also allows watching news videos and chat facility to users. The company recently changed its name to Snap Inc. Snap Inc was valued between $18 billion and $20 billion, after its funding round in May when it secured $1.81 billion. Its IPO is likely to be the largest since Twitter's first public offering in 2013, according to Bloomberg. The investors in the latest round included General Atlantic, Sequoia Capital, T. Rowe Price and Lone Pine. Another report from Reuters said Fidelity Investment, Kleiner Perkins Caufield & Byers and Yahoo! Inc are the investors in the firm from previous rounds. The technology company's major source of revenue is advertising sales. It has reportedly generated more than $350 million in revenues this year, the. Snapchat was founded in 2011 by Stanford University students Evan Spiegel, Bobby Murphy and Reggie Brown. The company had shot to fame after it reportedly refused a $3 billion acquisition offer from Facebook. It had come to the fore in 2013 that social media platform Facebook had made an all-cash $3 billion acquisition offer for Snapchat but it was spurned by its promoters. Snapchat has a daily active user-base of around 700 million, while its main rival Instagram trails behind at 300 million. Its stories format is used for news dissemination as well.